April, 1940. Nazi troops are flooding into Denmark. With soldiers on the doorstep, 12-year-old Bamse is ordered by his father to keep his head down and stay out of trouble. All the same, Bamse and his daring friend Anton just can’t resist playing the odd practical joke on the invading soldiers! But then Bamse realises that Anton is in terrible danger. Can he help to save his best friend from the Nazis? Soon Bamse and his bohemian family are taking part in one of history’s most dramatic rescues – smuggling Denmark’s Jewish population across the water to safety in Sweden! 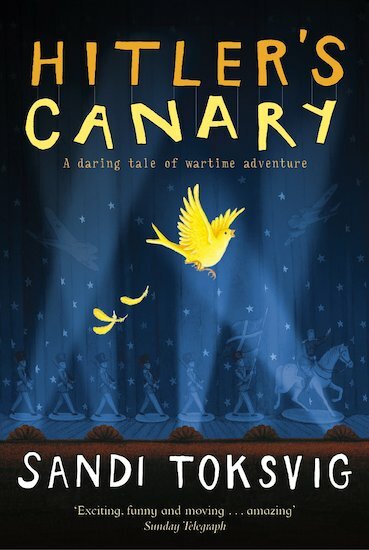 Inspired by the stories that Sandi Toksvig heard her father tell, this is a vivid story of war and courage, and friendship against all the odds. This book really was not for me. I found it really boring. I really love this book. it made me want to find out about WW2 and Jews and about the Nazi’s.